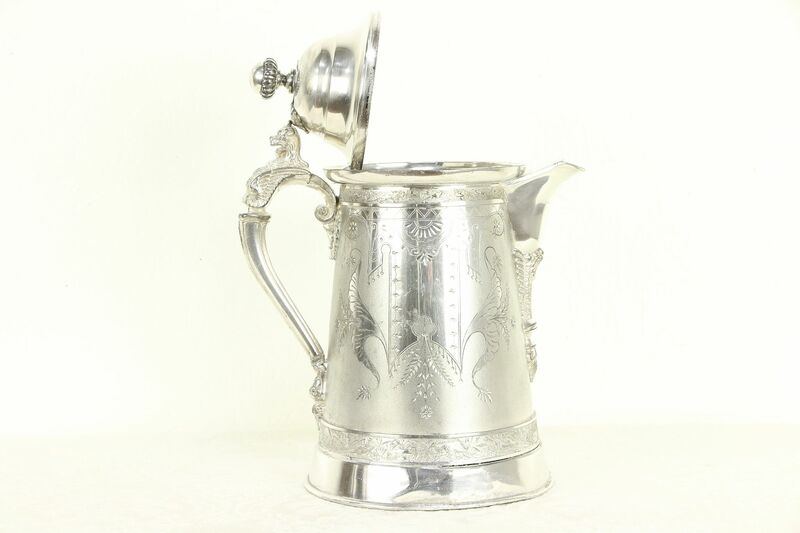 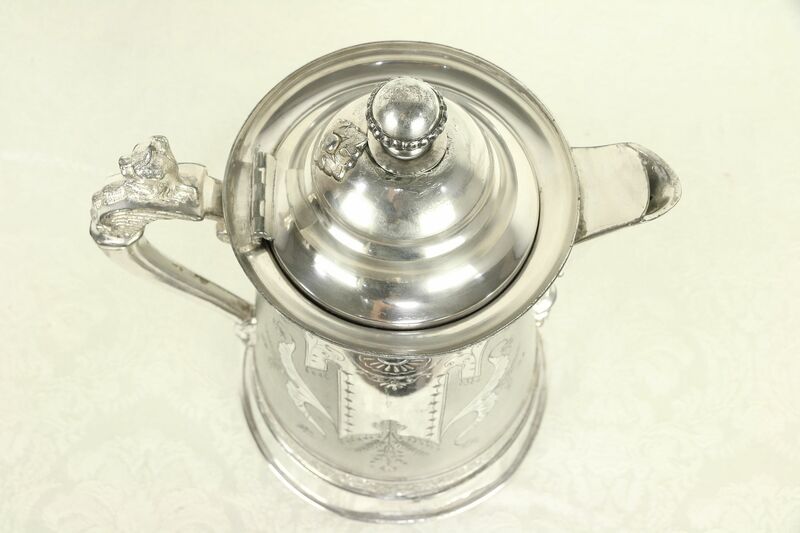 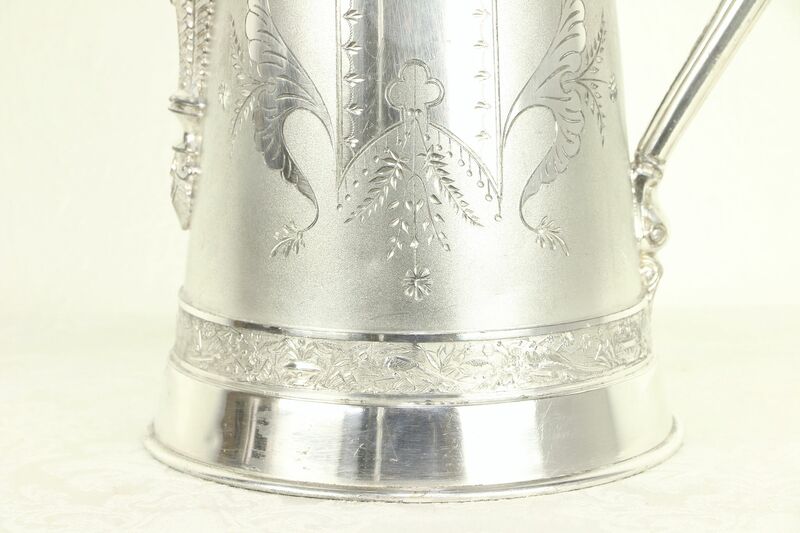 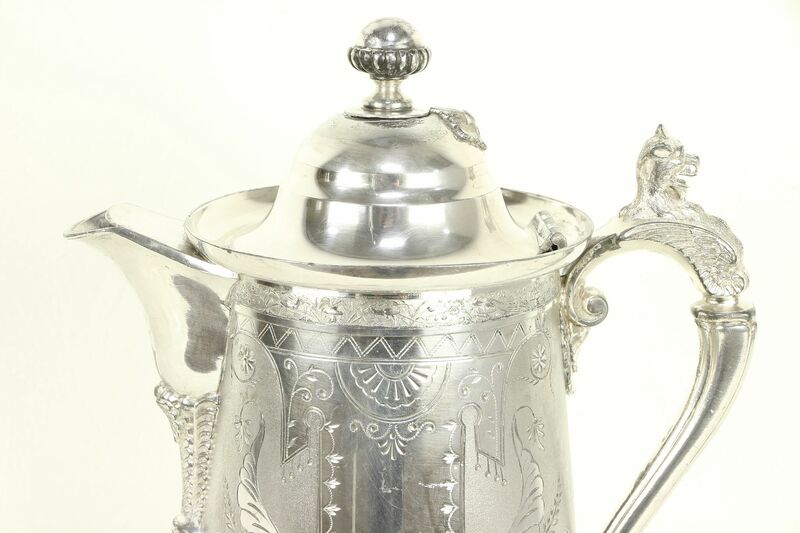 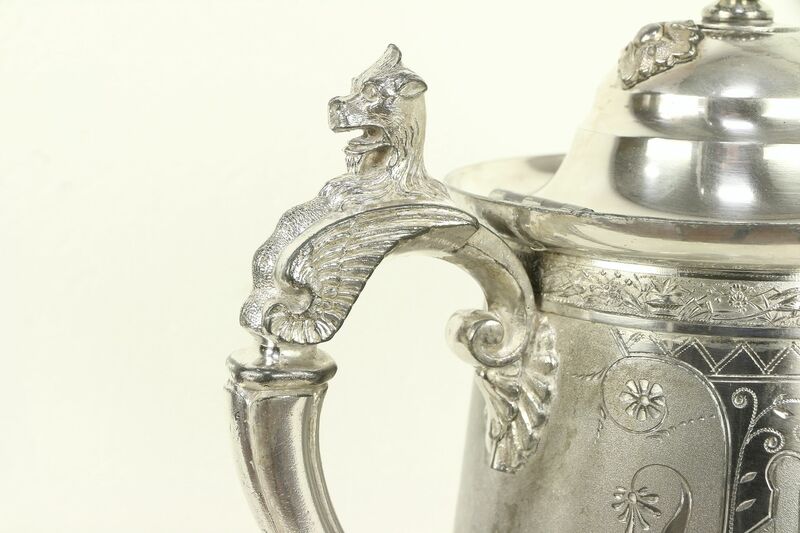 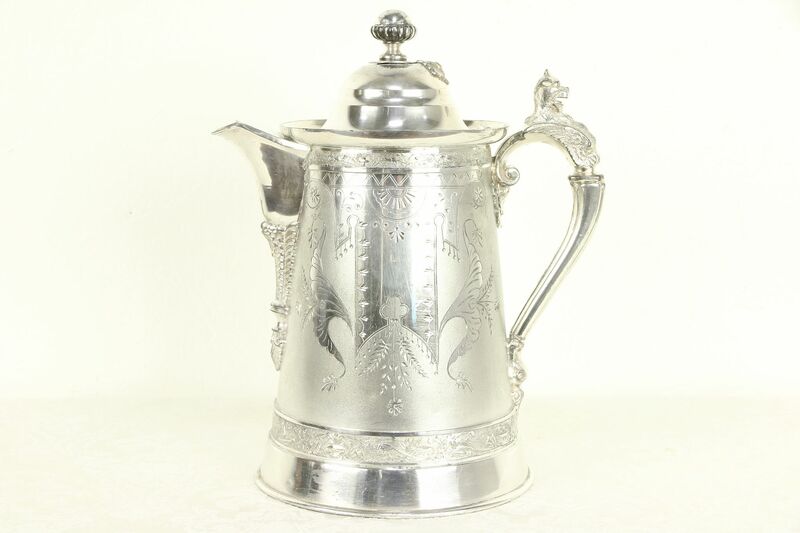 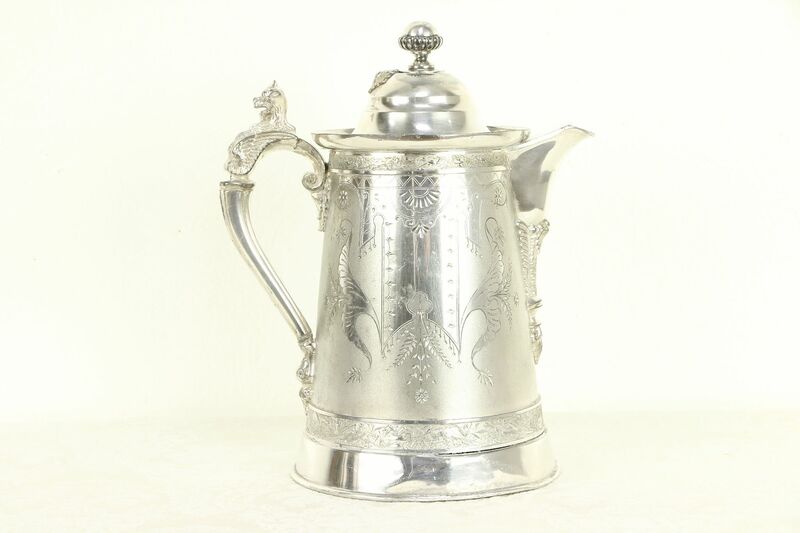 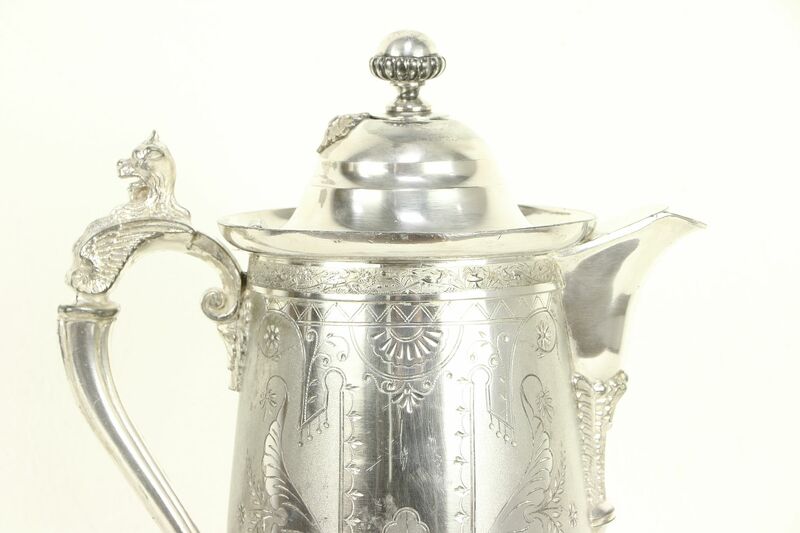 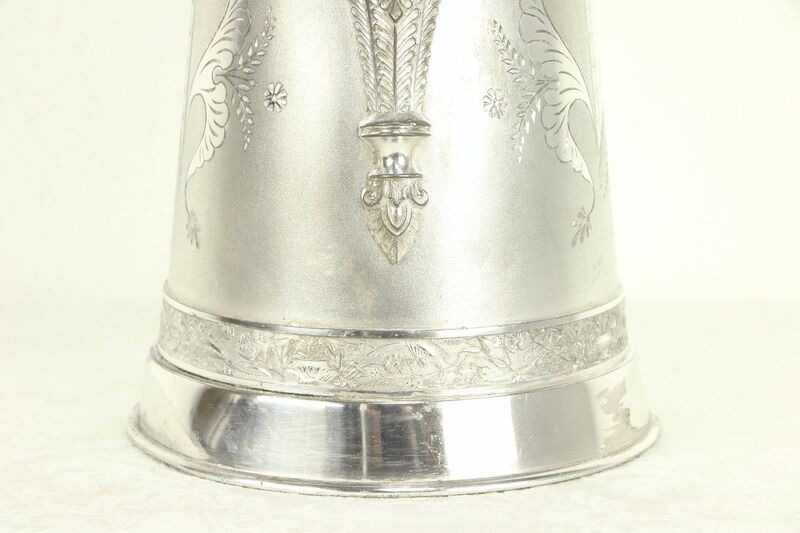 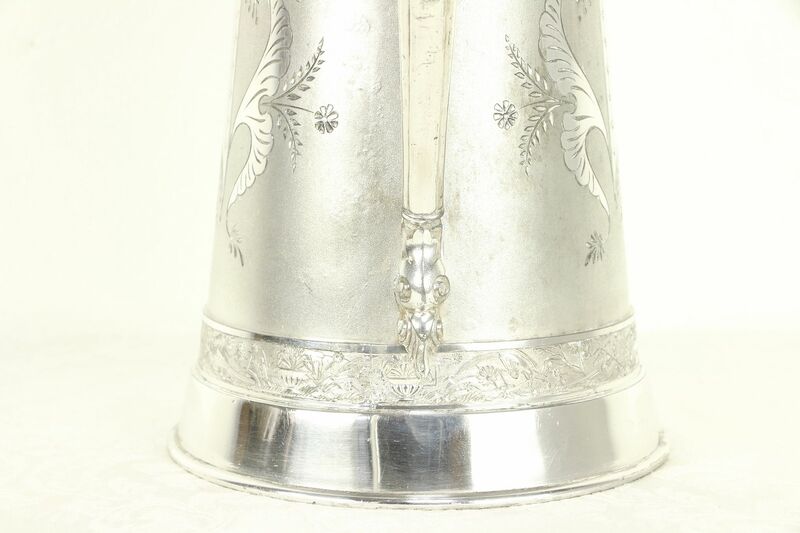 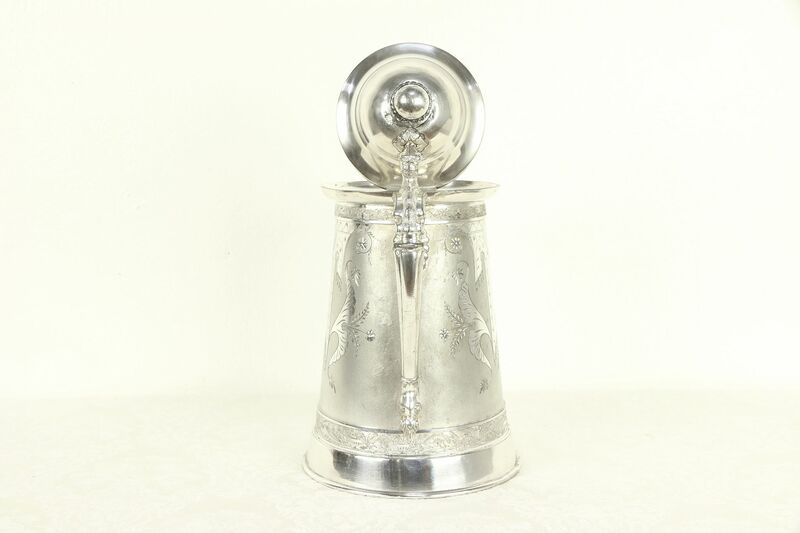 A Victorian period "insulated" silverplate water pitcher has deeply hand engraved lavish designs and a lion on the handle. 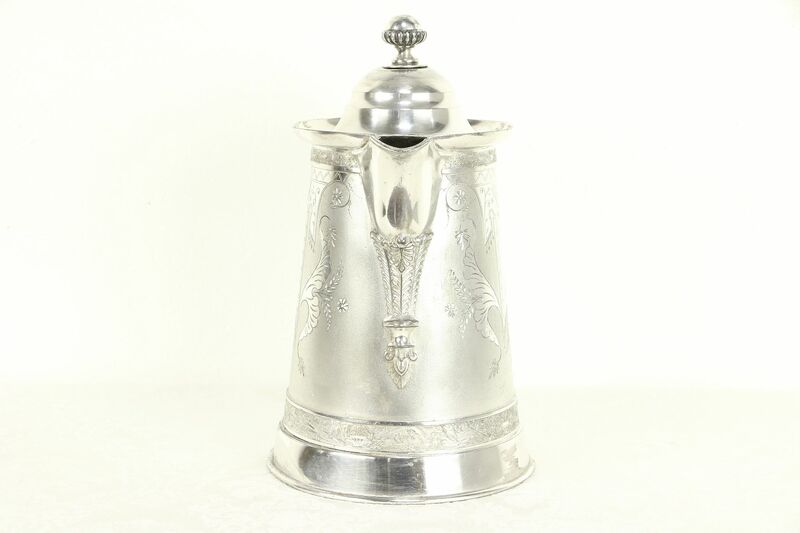 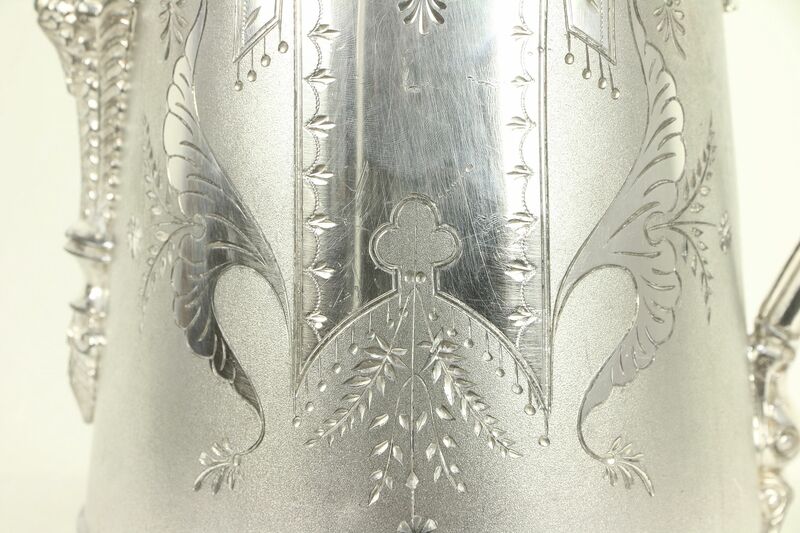 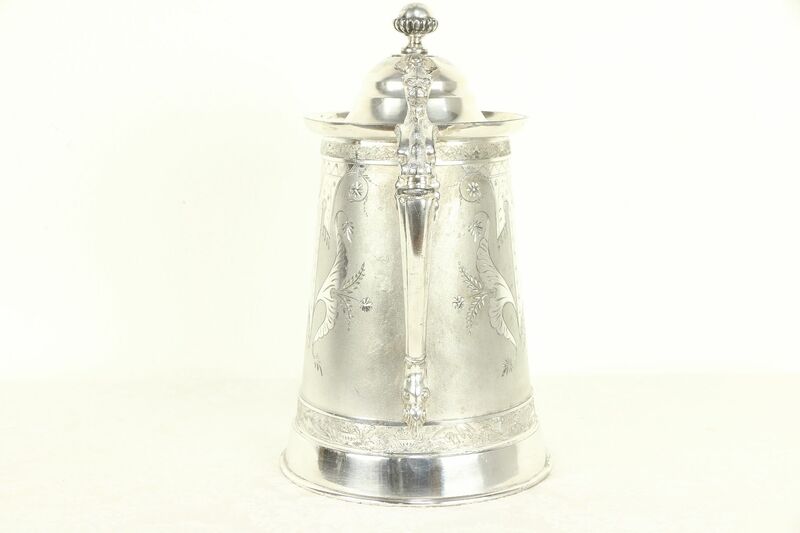 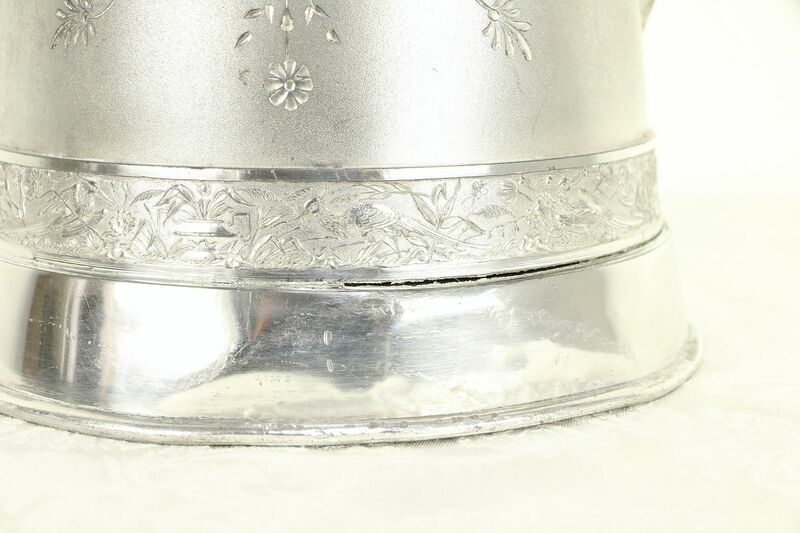 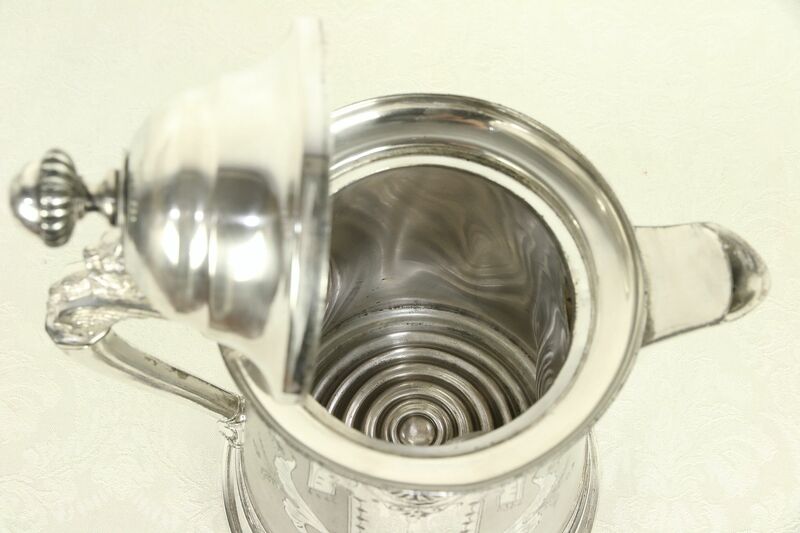 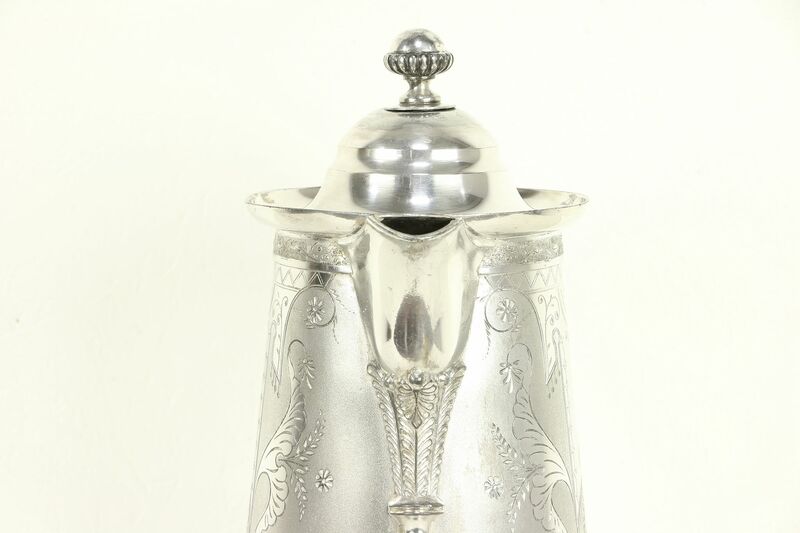 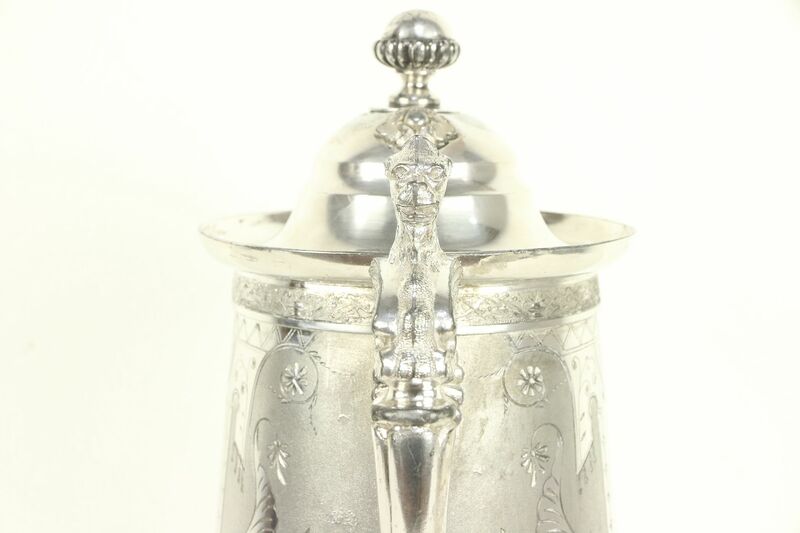 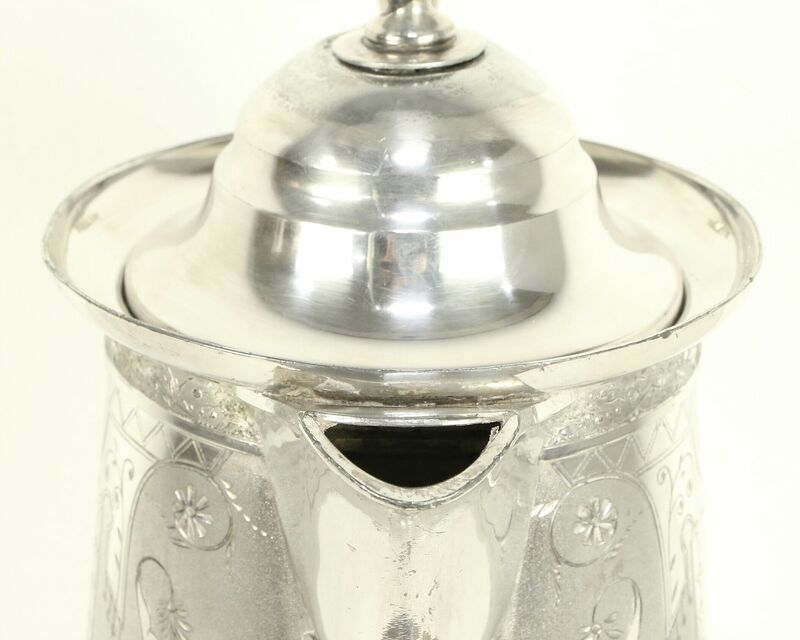 Photos show wear, dents and dings to the silver, the finial on the lid is resoldered and there is a partial separation at the base. 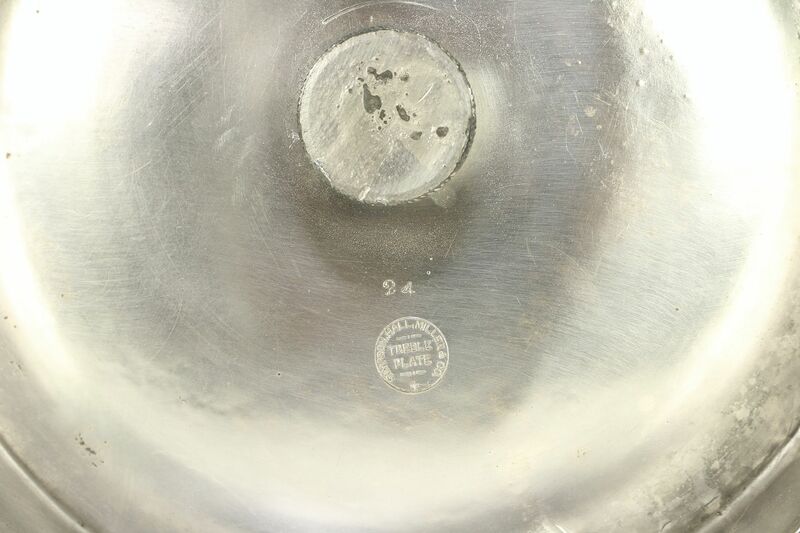 Signed "Simpson, Hall & Miller," this American made antique serving ware dates to about 1870. 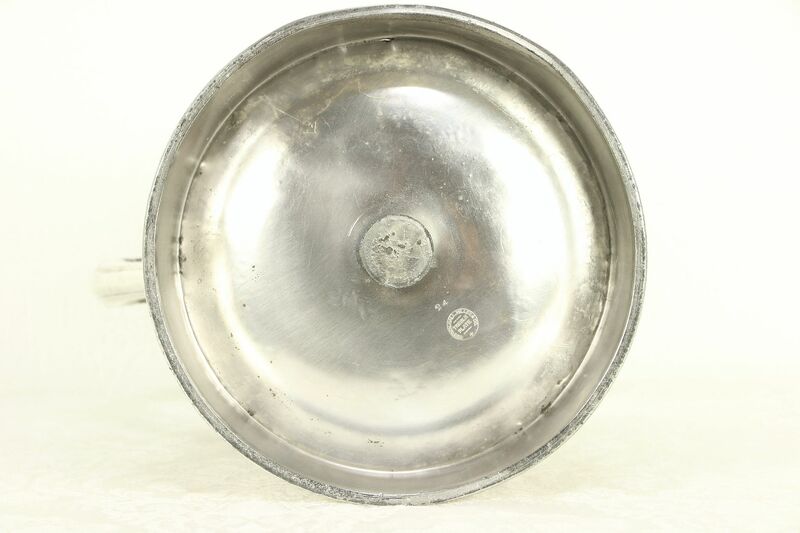 Size is 10" across, 7 1/2" deep and 13" tall. 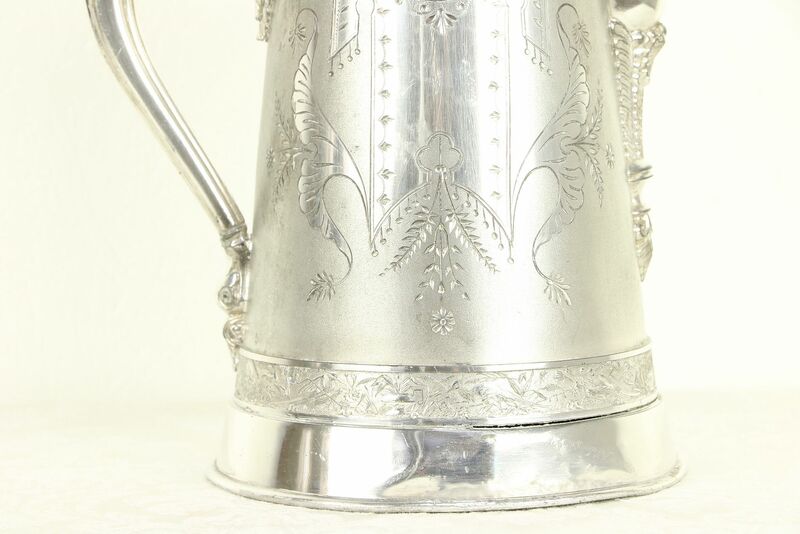 Please view 23 photos at full screen size for best detail.